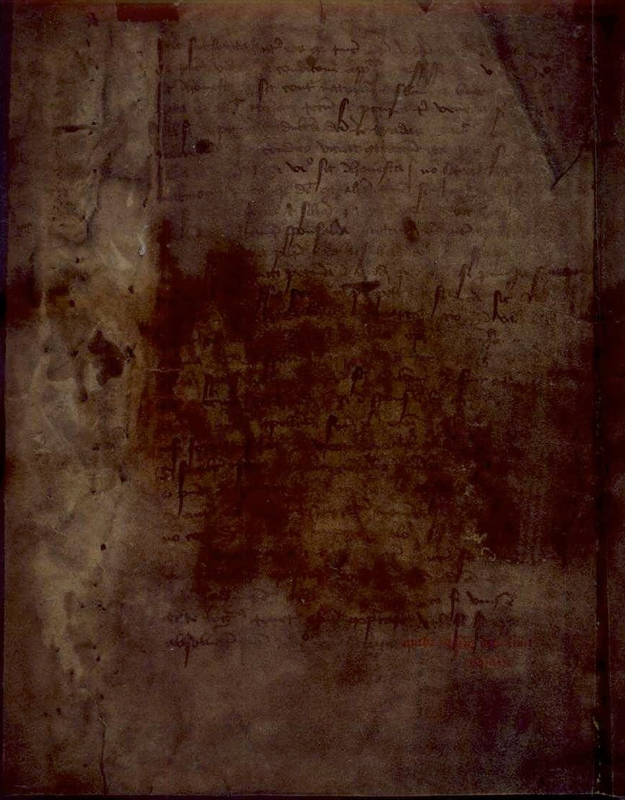 The manuscript of the Book of the Dean of Lismore is held in the Gaelic Manuscripts collection of the National Library of Scotland, under the Reference Number: Adv.MS.72.1.37. You can visit it there. Black, Ronald. 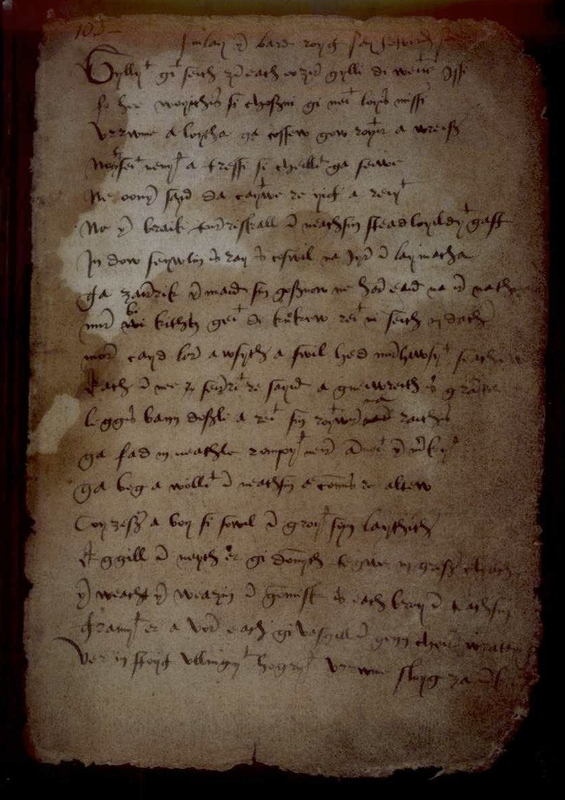 The Gaelic Manuscripts of Scotland. Volume I: Classical Gaelic, Irish and Welsh Manuscripts. Unpublished manuscript. National Library of Scotland, Manuscripts Division. MacGregor, Martin. A Political History of the McGregors before 1571. Edinburgh, 1989. Unpublished dissertation. MacGregor, Martin. Creation and Compilation: The Book of the Dean of Lismore and Literary Culture in Late Medieval Gaelic Scotland.” In The Edinburgh History of Scottish Literature Volume One: From Columba to the Union (until 1707), ed. Brown, I., Clancy, T.O. and Pittock, M. Edinburgh: Edinburgh University Press, 2007. 209-218. MacGregor, Martin. The View from Fortingall: The Worlds of the Book of the Dean of Lismore. Scottish Gaelic Studies 22 (2006) 35-85. MacGregor, Martin. ‘Surely one of the greatest poems ever made in Britain’: The Lament for Griogair Ruadh MacGregor of Glen Strae and its Historical Background. The Polar Twins, ed. Edward J. Cowan and Douglas Gifford. Edinburgh: John Donald Pubishing, 1999. 114-153. M’Lauchlan, Thomas, ed. & transl. 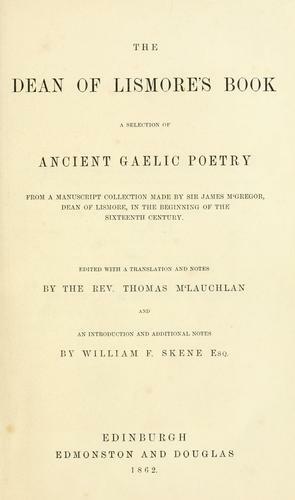 The Dean of Lismore’s Book: A Selection of Ancient Gaelic Poetry. Introduction by William F. Skene. Edinburgh: Edmonston & Douglas, 1862. Now available on line from Internet Archive. Also several editions on Kindle, though the ones I’ve seen are full of scanning errors. M’Laughlan’s rendering of Scottish names–including his own–is a symptom of 19th c. anxiety about Highland culture. Changing mac, “son of,” to M’ elides the barbarous taint, making the name appear vaguely French, while suggesting an enunciation like that of southern England. His selection from the BDL includes classical Irish verse, as well as poems attributed to Ossian. For a time in the 18th c., the BDL manuscript was in the hands of James MacPherson, and it probably served as the principle model for his semi-fabricated “poetic fragments” from the Gaelic. Watson, William J., ed. & transl. Scottish Verse from the Book of the Dean of Lismore. Edinburgh: Oliver & Boyd, for the Scottish Gaelic Texts Society, 1937. Though with excellent notes, and superior to M’Laughlan in its scholarship, this volume includes only the Scottish verse. A companion volume of the manuscript’s Irish poems, Heroic Verse from the Book of the Dean of Lismore, is extremely rare.